Where is the Icelandic Horse from? This horse has been known in Iceland since 800 A.D. It was brought there by the Vikings. 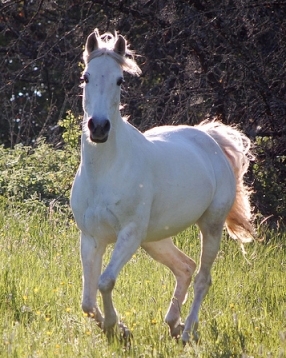 Icelandic Horses came to North American in the late 19th century. 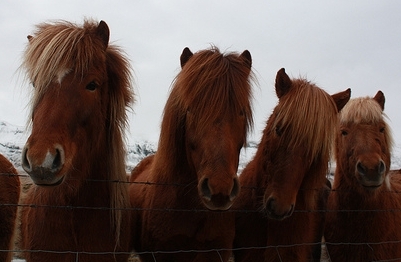 What does the Icelandic Horse look like? Icelandics have heavy coats protecting them from the harsh climate of Iceland. They are sturdily built small horses, 12-14 hands high and weigh about 600-900 lbs. What are some facts about the Icelandic Horse? 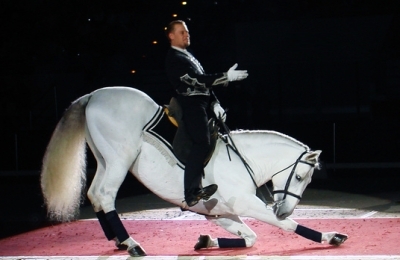 Icelandic Horses can perform 5 different gaits. They are highly intelligent, easily trained and eager to please. Icelandics are calm, brave, friendly horses and bond closely with their human. They are used for recreational riding, gaited competition and racing in Iceland.